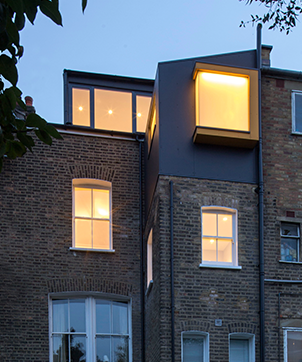 Penn Elcom came recommended for prestigious North London architect practice A2 to provide a perfectly-diffused LED solution, fulfilling cutting edge light innovations to make Kerem Aksoy’s vision a reality. Read on to discover how Razvan Vasiliu tailored off the shelf products to create a bespoke effect, both elegant and organic. Penn Elcom has supplied around 250 metres of Osram Linearlight Flex short pitch power flex LED tape as part of a new, greener and more efficient lighting scheme for one of the UK’s most iconic university library buildings, The Radcliffe Camera in Oxford. An LED lighting installation - specified and undertaken by Penn Elcom – is saving the White Rock Theatre in Hastings approximately 75 per cent on electricity requirements, plus a further 70 per cent on maintenance costs per year compared to the previous lighting scheme. Penn Elcom has supplied specialist LED lighting for the retail areas of The Source, a new £1.25m Skate and BMX park in Hastings, UK. When the skate park project was in its infancy two years ago, Rich Moore asked Penn Elcom’s Rob Platt if the company could propose a lighting scheme. The pool area was designed by architect Juliet Colman from Towcester, Northamptonshire. It has involved the complete refurbishment of an existing building the construction for which was undertaken by RC Spencer building contractors. Outside, around 30 dimmable marine grade submersible GU10 housings were fabricated to hold GU10 lamps that are up-lighting glass panels on Decks 8 and 6. Sixteen warm white down-lighters in custom marine grade housings on Deck 6 highlight the outdoor Grill restaurant. A bespoke slim line warm white LED strip, made from Osram LEDs into each of the cabinets of varying sizes. This illuminates the contents in a fabulous crisp, clear high CRI light source that looks really natural and is a perfect complement to the room lighting. Penn Elcom supplied a fully retro-fittable LED lighting package to CGA Integration, which was installed into two church halls operated by All Saints Church in Ascot, Berkshire, UK …resulting in an approximately 50% reduction in running costs! Penn Elcom has supplied various Comus LED panels through a local production service company to light up the Daventry community centre. Our Customer Service team is usually available Monday – Friday 9am – 5pm, (For security and training purposes, phone calls may be recorded or monitored).